A City Council committee will consider turning Franklin Street into the city's first public memorial to the slain civil rights leader. Portland city councilors may rename Franklin Street in honor of Martin Luther King Jr. The idea of honoring the slain civil rights leader will be formally considered by councilors next week and has been discussed by city leaders and community members for years, said City Councilor Spencer Thibodeau. There are no public memorials to King in Maine’s largest city, and renaming one of Portland’s busiest streets and a gateway for visitors would be a fitting tribute to King’s work and legacy, Thibodeau said. 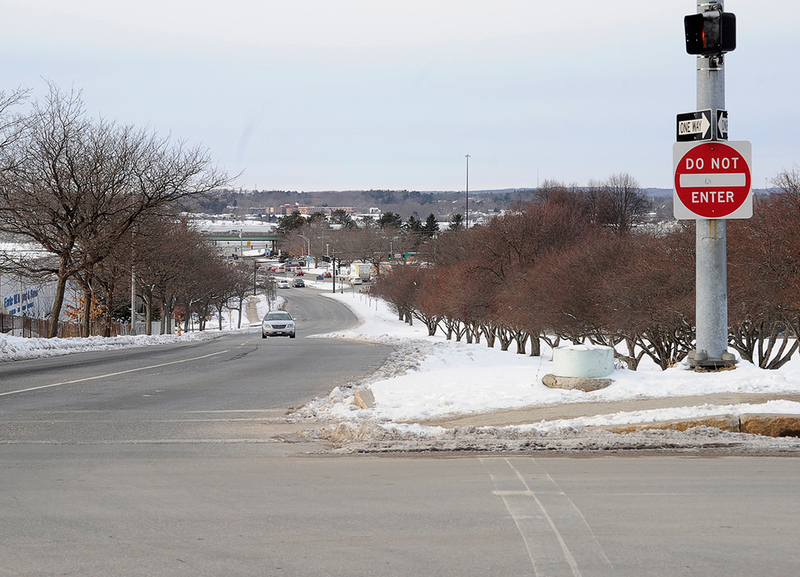 The City Council’s Sustainability and Transportation Committee will discuss changing the name of the traffic arterial to Martin Luther King Jr. Boulevard at its meeting Tuesday. The meeting will be followed by a Feb. 15 public hearing in council chambers at City Hall. Thibodeau did not know how much it would cost the city to rename the street, but said it would likely be discussed at the meeting next week. Councilor Jill Duson, who has worked on efforts to memorialize King in the city and also sits on the Sustainability and Transportation Committee, said she looks forward to discussing the proposal with members of the community. “I’m excited to see there is momentum around honoring Martin Luther King Jr. here in Portland in this way,” Duson said in a written statement. The four-lane street is divided by a large grass median and runs north-south across the Portland peninsula between Interstate 295 and Commercial Street. Each day, about 28,000 vehicles use the road just to the south of Interstate 295, according to city figures. The details of how and when Franklin Street got its name are unclear. 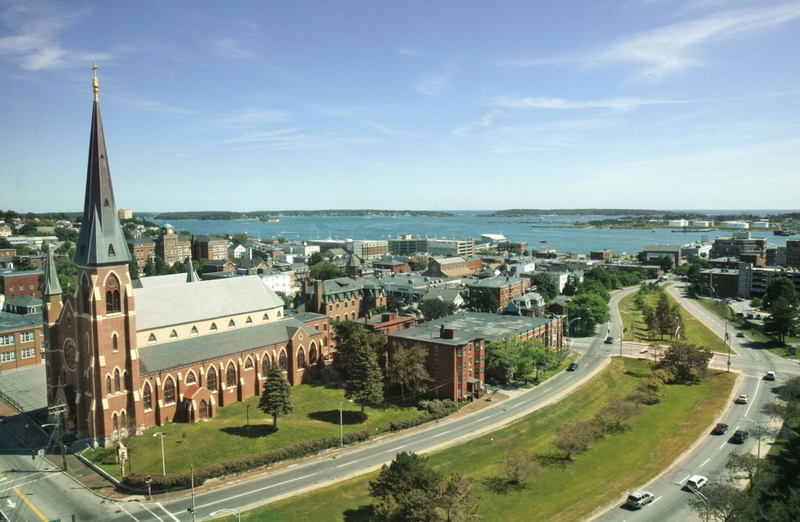 The thoroughfare’s current name stems from the 1850s, after it was lengthened to connect Back Cove to the newly completed Commercial Street and Franklin Wharf, which was located in the area now occupied by the Maine State Pier. A city spokeswoman said the street appears to be named after the wharf, but it’s not clear whom the wharf is named after. 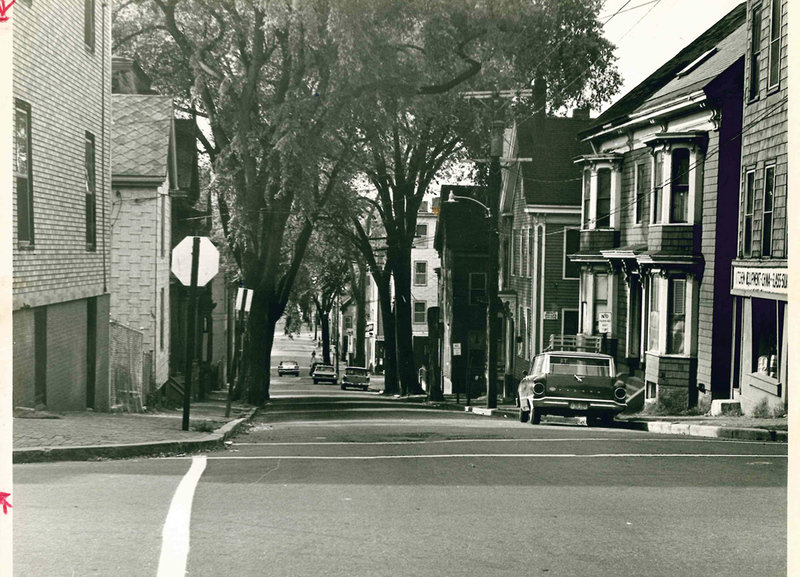 Two views of Franklin Street at the corner of Cumberland Avenue, looking northwest toward Back Cove. The history of Franklin Street makes it an interesting choice. More recently, a notorious urban renewal project in the 1960s demolished entire neighborhoods and uprooted mostly immigrant families to expand Franklin Street and create a major thoroughfare into the city. The road disconnected the working-class and ethnic India Street neighborhood from the rest of the city. In the past decade, Portland has tried to reverse the effects of that project by redesigning Franklin Street. The most recent proposal, unveiled in 2014, would remove the wide median and shrink travel lanes, opening up space on both sides of the road for redevelopment and improving pedestrian crossings and sidewalks. In 2015, the City Council approved a $34.5 million redevelopment master plan for the street. The renaming proposal has received support from the Portland NAACP and Mayor Ethan Strimling. 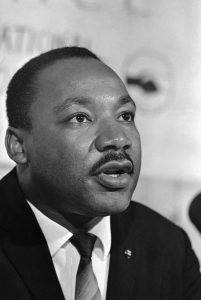 “The Portland Branch of the NAACP has had an interest in recognizing Dr. Martin Luther King Jr. for some time and we’re thrilled that we are now at a place in which we can honor this great American hero of African-American descent in a permanent way here in Portland,” said Rep. Rachel Talbot Ross, D-Portland, president of the local group. “When we find ways to honor Dr. King’s legacy, we remind everyone of his message of hope, justice and courage, a message we’d do well to live out every day,” Strimling said in a written statement.